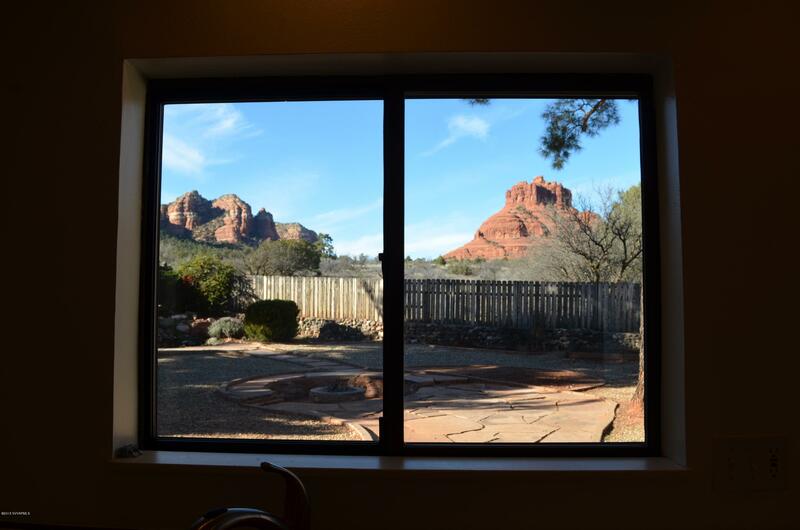 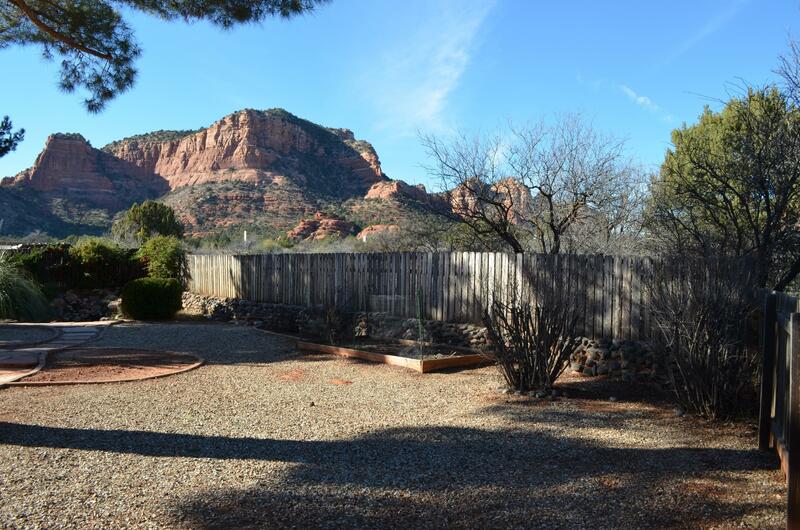 Sedona AZ: The Bell Rock parking lot and trailhead is only 120 yards from this home. 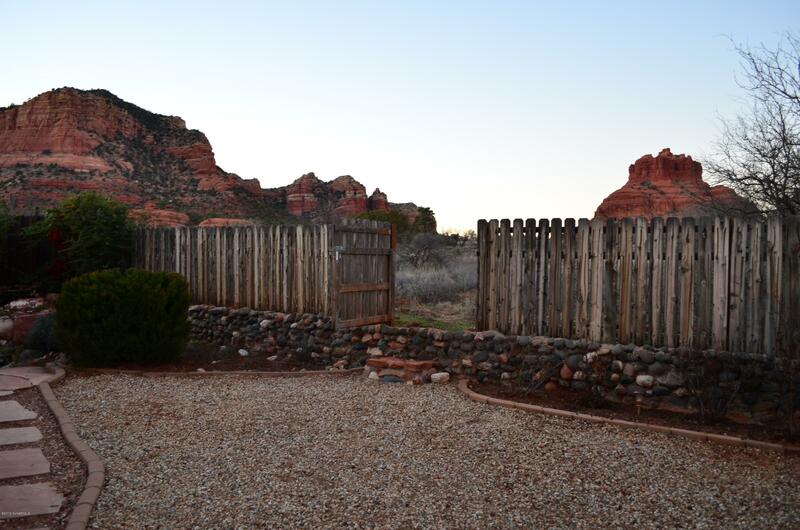 Literally, out the back gate. 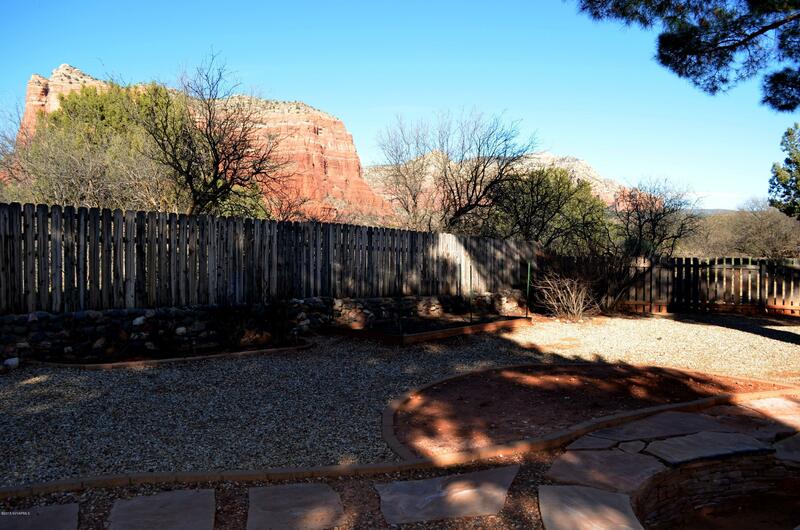 You’ll love the outdoor living in this home. 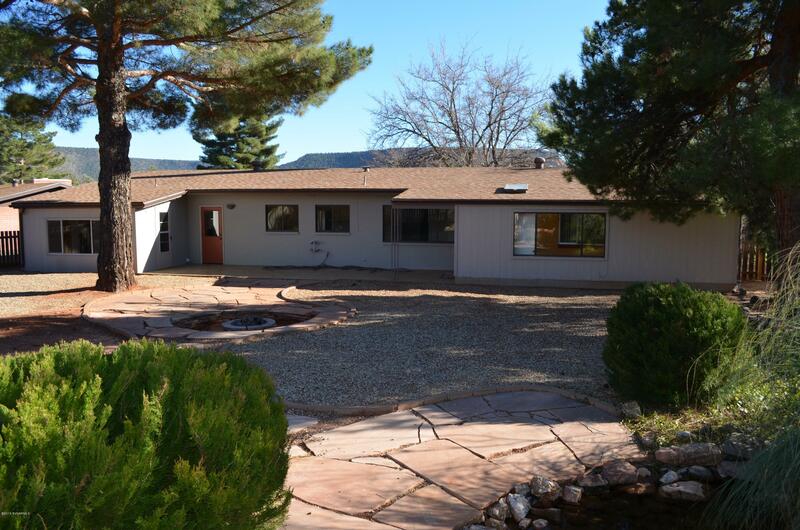 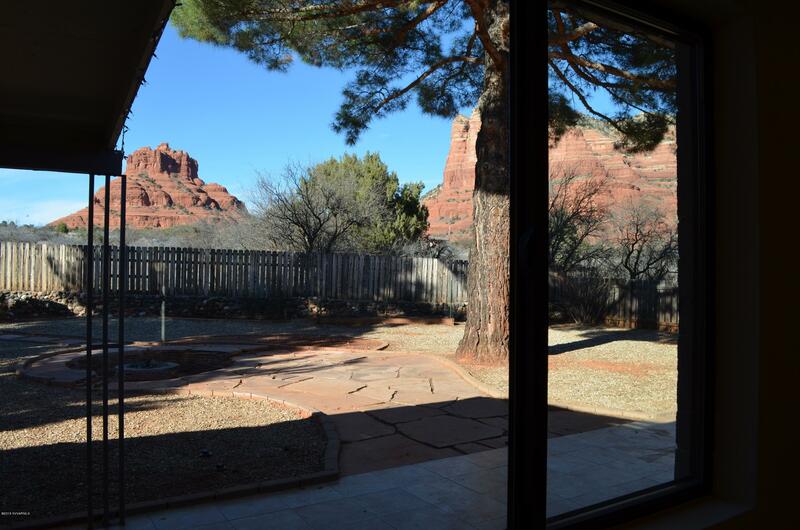 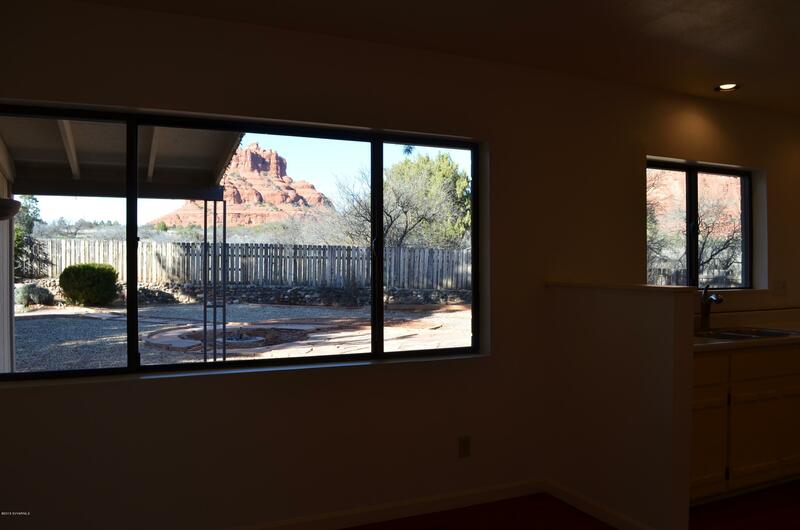 It is a single level home, 3 bedrooms and an office, kitchen & dining areas that overlook Bell Rock and Courthouse Butte. 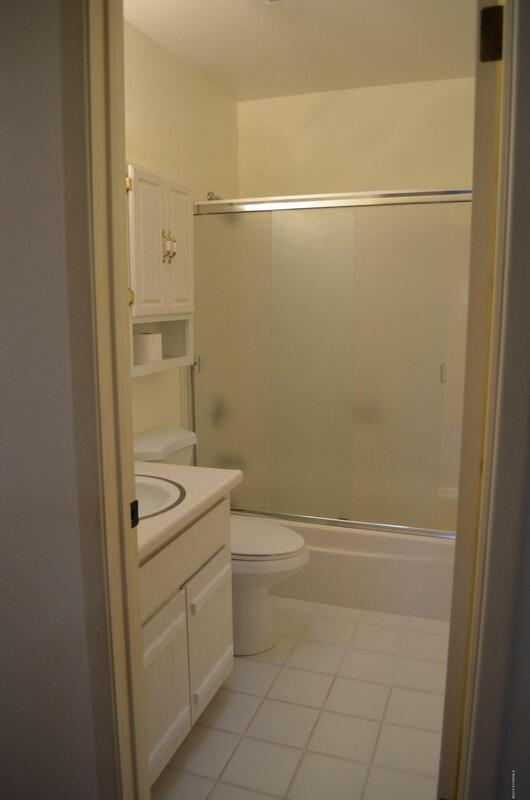 If you’re interested in this home, please call us asap as we don’t think it will last long. 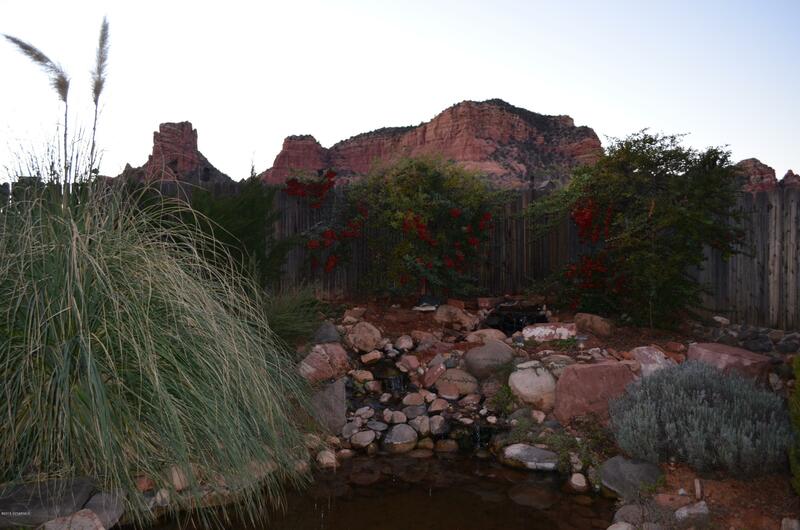 Great home in cul-de-sac backing up to National Forest with own trail accessing Bell Rock & Courthouse Butte trails. 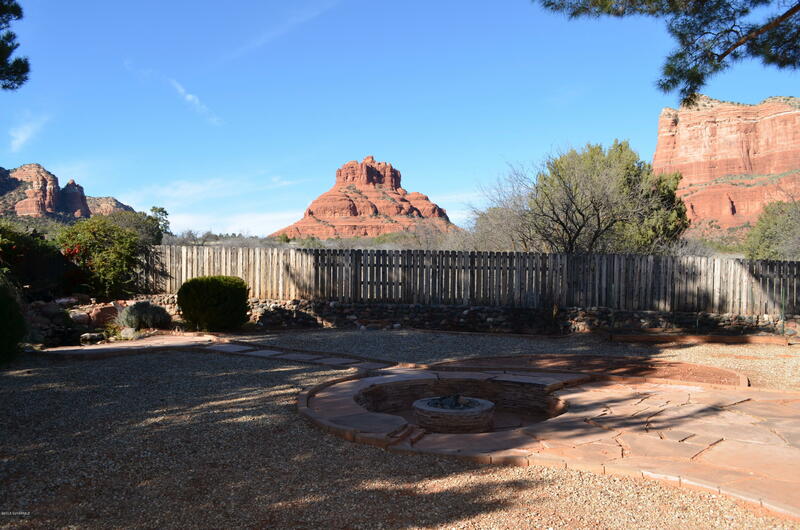 Backyard is fenced w/gate to access the national forest hiking & biking trails; outdoor fire pit for those cool evenings & watch the stars, koi pond & water fountain. 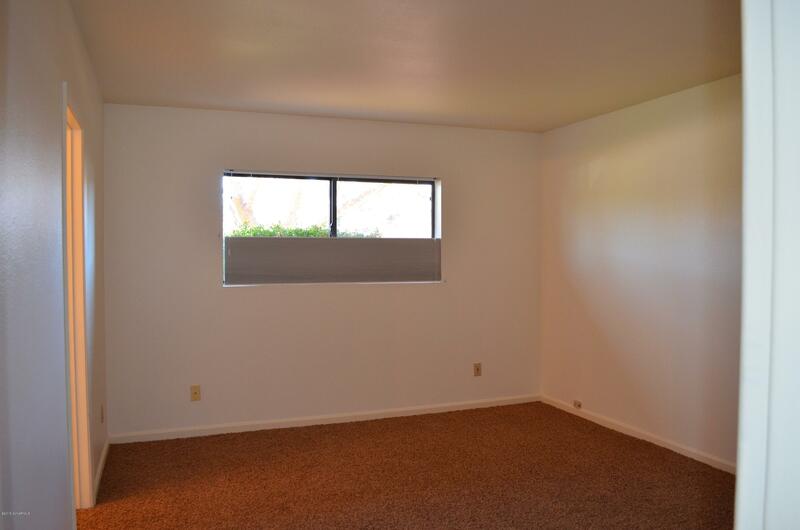 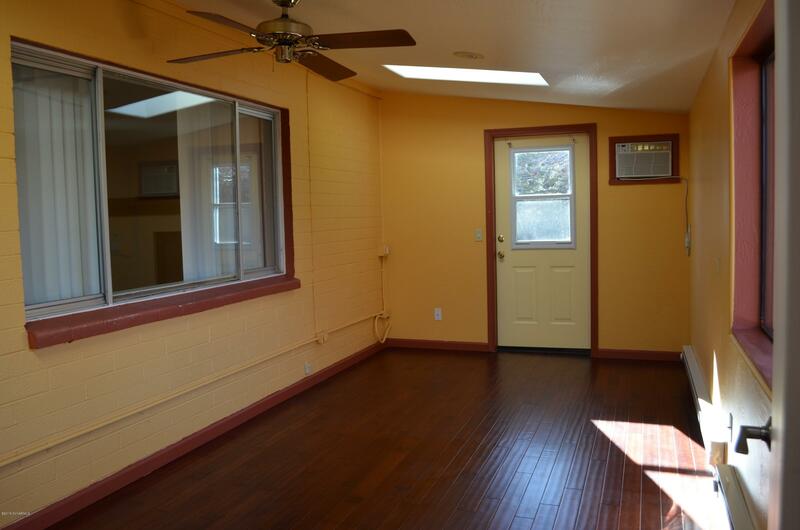 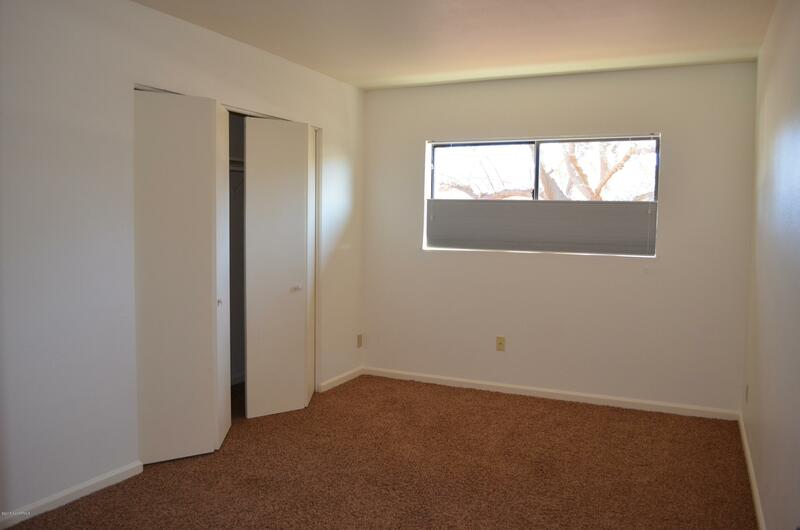 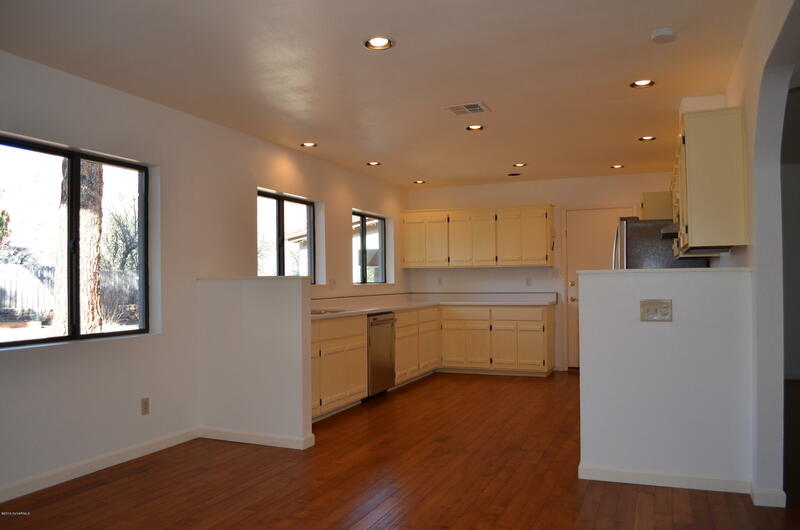 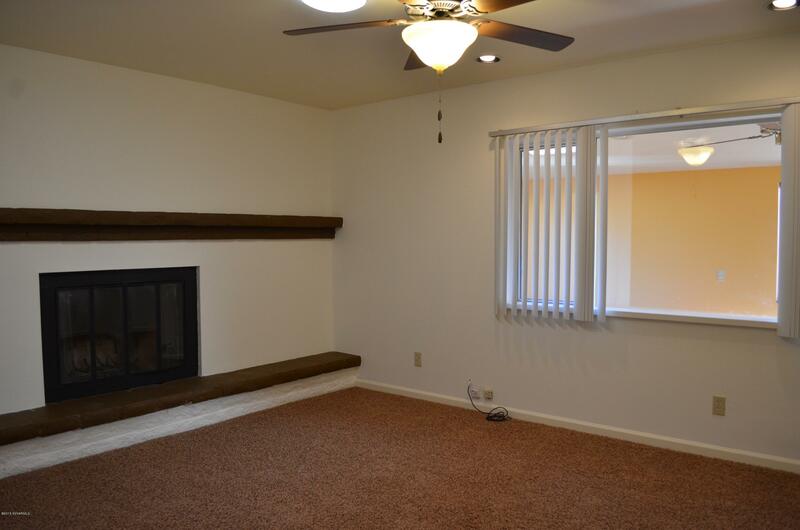 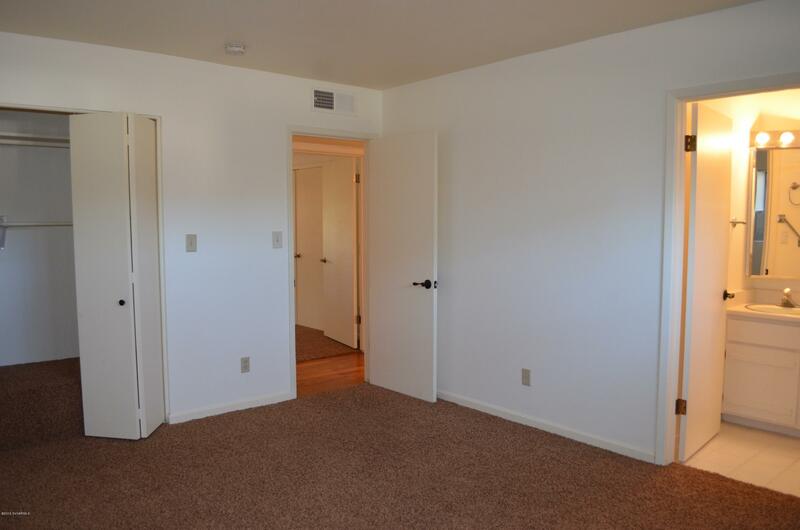 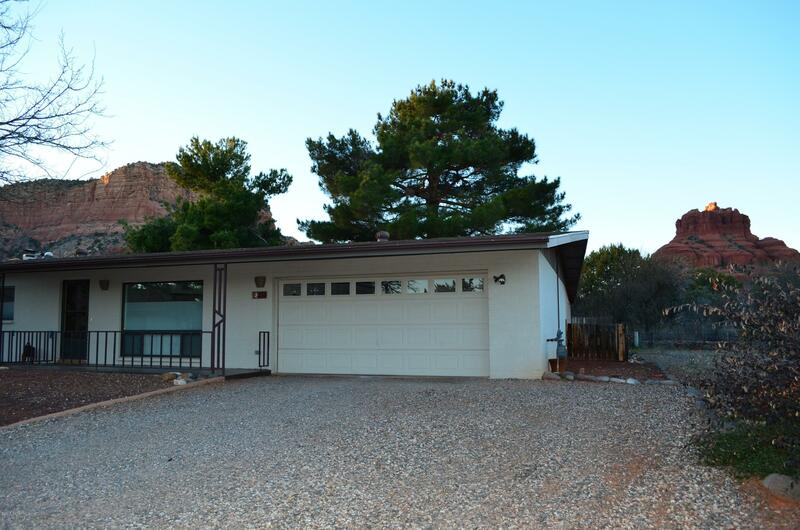 Home is very bright & open, office/Arizona room, plus oversized garage w/work area, large shed attached. 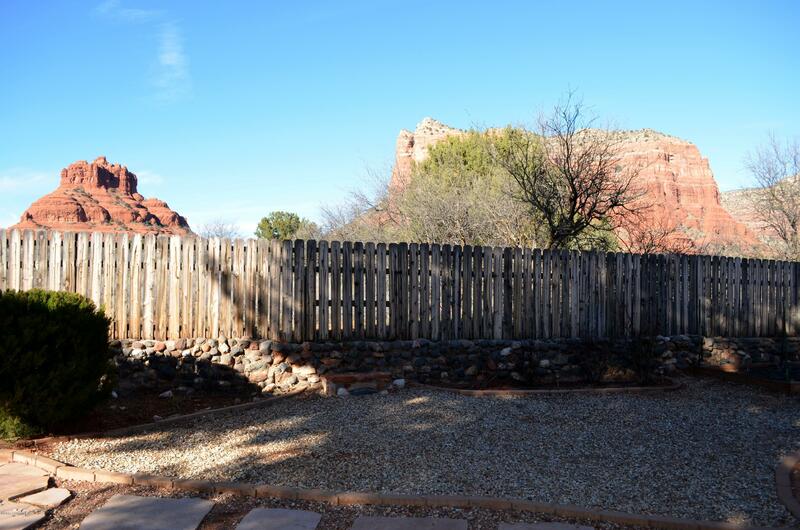 A must see! 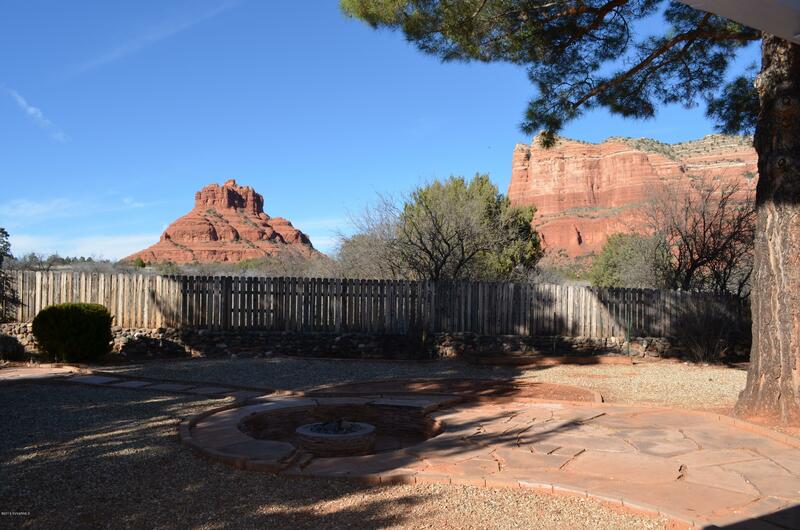 Directions: Hwy 179, East on Bell Rock @ round-a-bout, Left on Cochise, Left on Arrowhead. 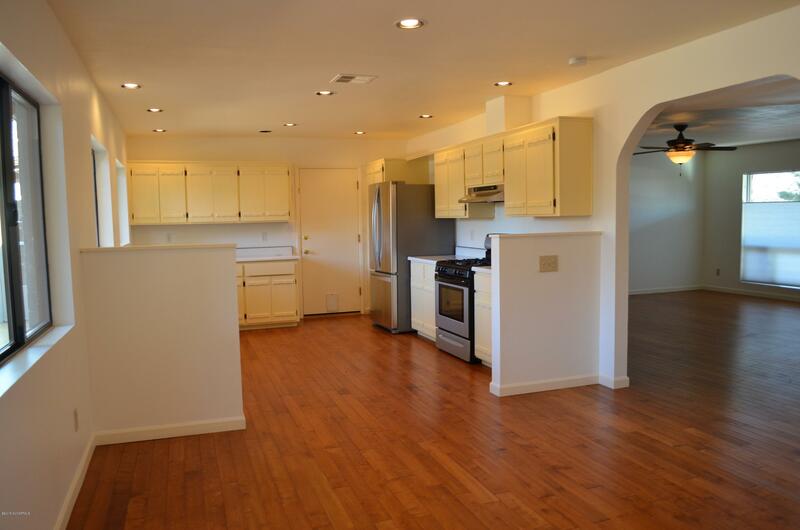 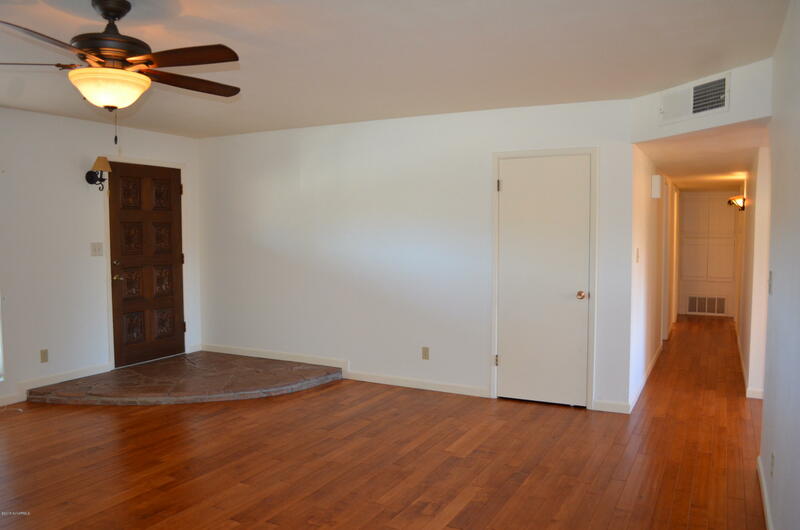 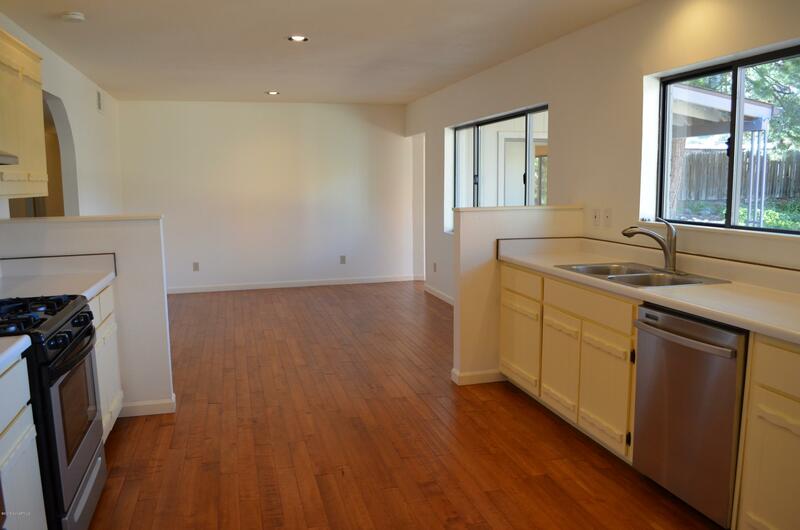 About the home from the seller:Remodeled home in cul-de-sac. 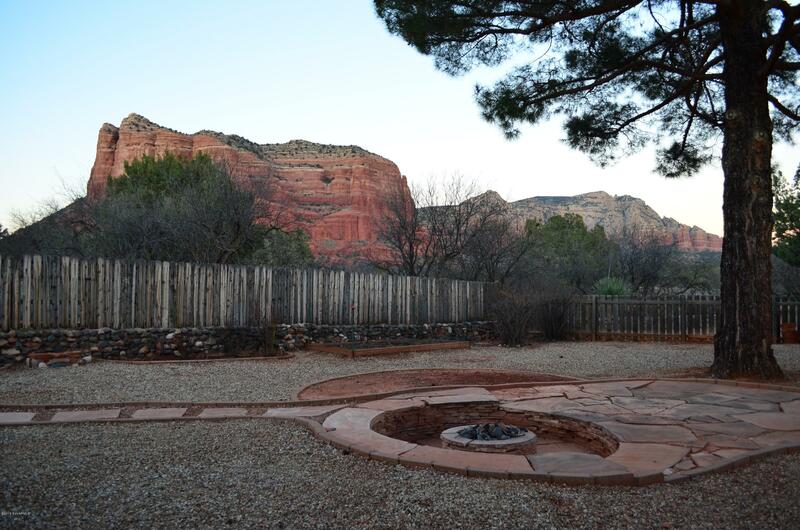 Seemingly infinite backyard. 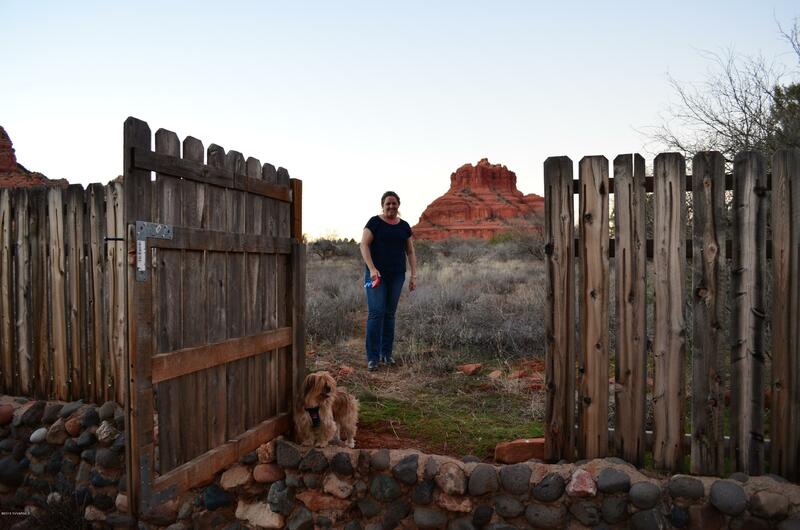 Open the backyard gate and you are hiking in the national forest. 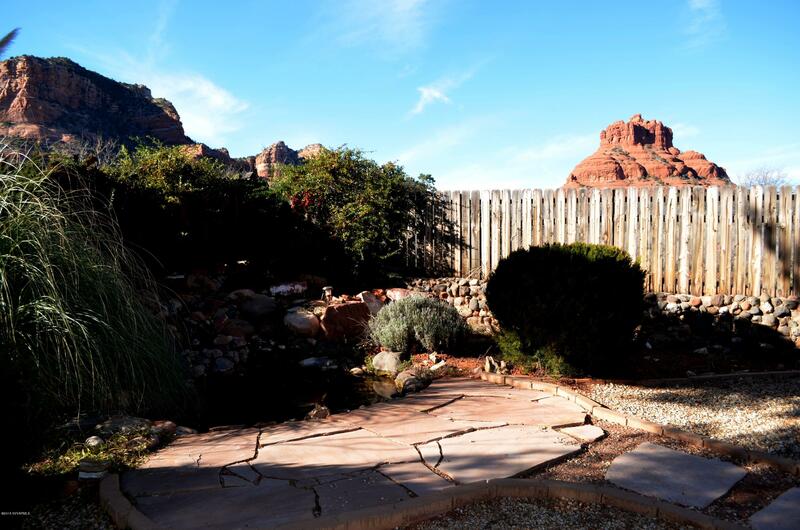 To the sides of the gate you have the pond (with 3 nocturnal Koi); herb garden, rose garden, gardening plot (for your veggies and herbs), fire pit, all beset by stone walls with protective fencing… The backyard is a nature buff's dream come true with abundant bird life (over 50 species of birds counted) You might look up while washing dishes and see deer, javelina, falcons, and more in National Forest! 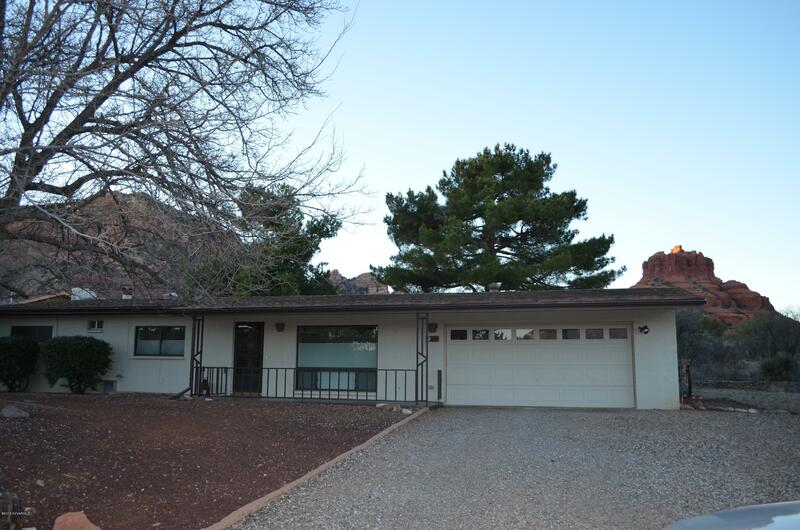 Out front you have thriving Mulberry trees with their seasonal displays and a towering cedar. 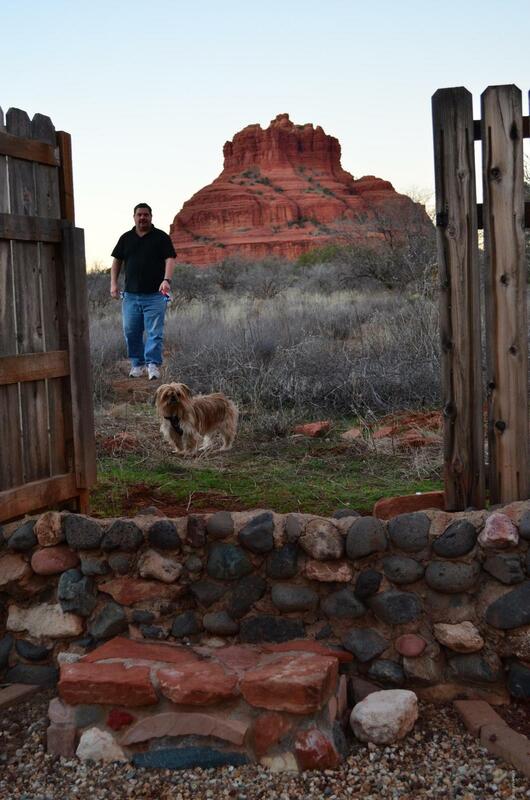 No house is closer to Bell Rock and the surrounding trails. 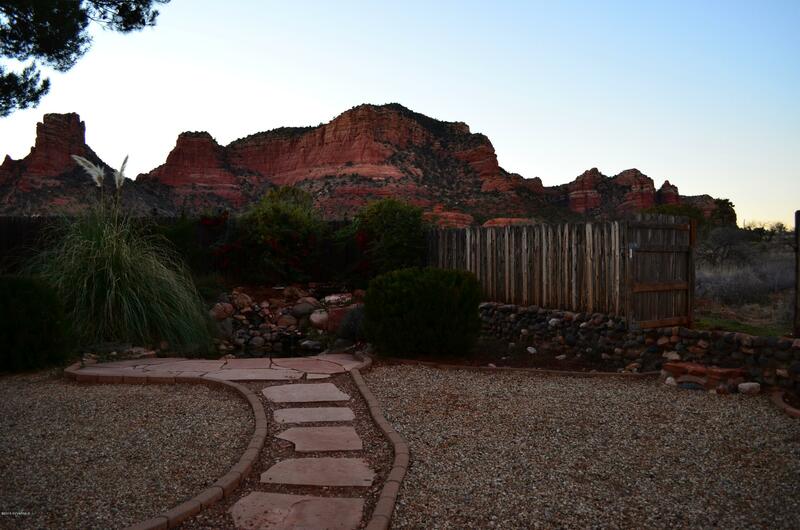 Enjoy breathtaking skies day and night. 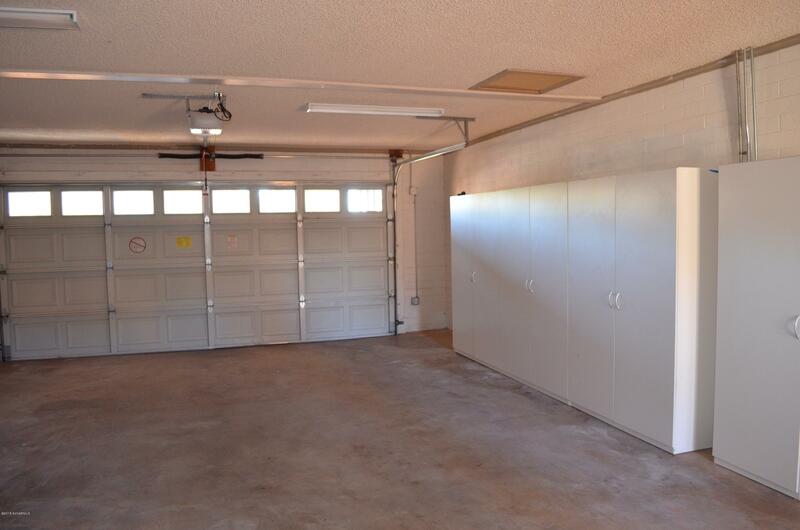 Large garage with work area, large shed, sublime Arizona room ideal for home office; new septic tank in Jan 2015; new roof in 2011, water heater and more!